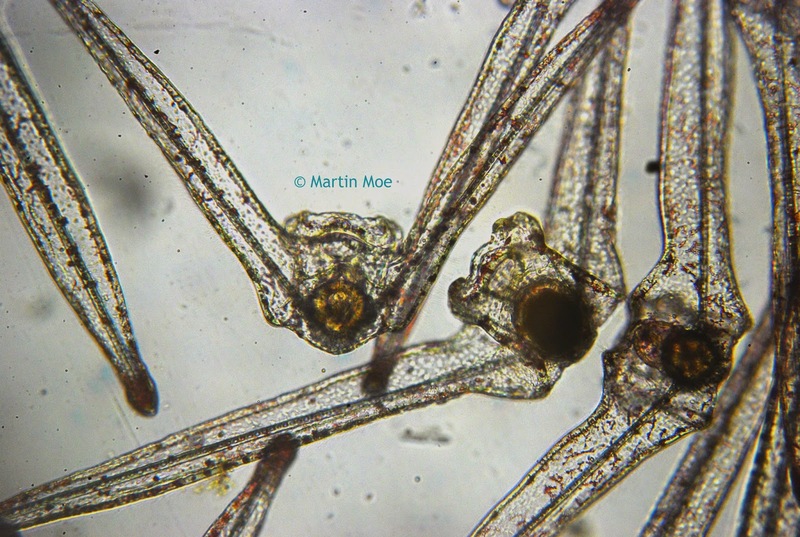 The microscope image below is of a 13-day-old Diadema larvae. Diadema larvae are an interesting sea urchin larvae. Two of the spines that are typical of other sea urchin larvae actually grow into centimeter long "wings" and they glide through the ocean currents for possibly months before finding a place to settle and metamorphose into tiny juvenile Diadema sea urchins. A big thanks to Martin Moe for capturing this image (with the Meiji MT4000 series biological microscope) and sharing it with Microscope World!